And the thing is, we actually have a coordinator/ planner for the day! Also felt so exhausted physically and mentally wtf. It's one of the best things we have spent on for the wedding, getting a coordinator! It was something that I decided on very early into wedding-planning, although it might be considered as a "luxury" item by some people. 1) We have a morning ceremony (decided on on a morning one 'cause there is less chance of rain, haha), which means I definitely need help setting up. As it is, I woke up at 5am on the day for make-up. Can you imagine if I have to set up the venue?! Need to camp there overnight wtf. 2) Most of my girlfriends are based overseas/ outstation; heck, even my sister is! So they are all only back the day before my wedding, which doesn't leave much time for prepping or setting-up. 3) I want my family and friends to enjoy the wedding. Because no matter how lightly you put it, coordinating/ overseeing a wedding IS a full-time job, and they won't be able to have fun if they are so busy working. 4) I want to enjoy my own wedding! There are a million and one things that could crop up at a wedding, and I really didn't want to fret over them on the day. 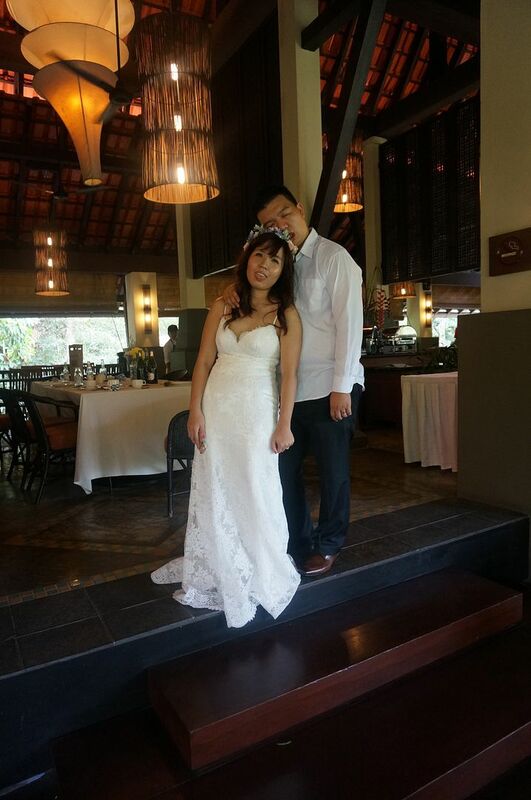 Congrats on the wedding Hui wen! Been a reader of yours for years :)Can I know which florist did you engage? really gorgeous flowers choice!